Home » GBP » Pound US Dollar Exchange Rate Forecast: Will Slower GDP Bring Trigger GBP/USD Losses? 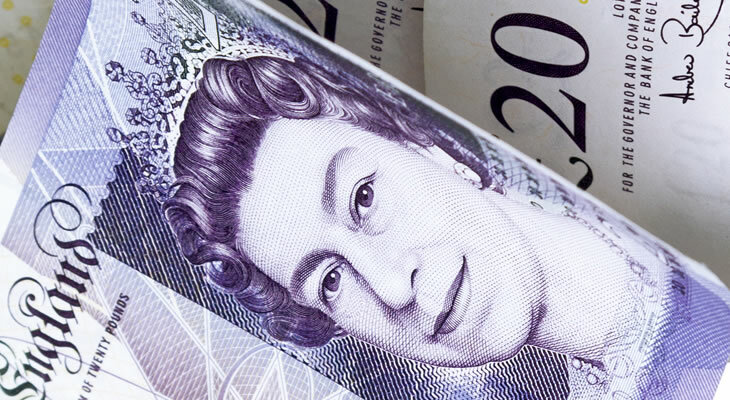 Pound Sterling (GBP) has had a difficult start to weekly trading, having made significant losses against the US Dollar (USD) on two separate occasions. The latest -0.3% decline puts the GBP/USD pairing at an interbank exchange rate of $1.3057, which is above Monday’s low of $1.3030. Pound traders have recently been unsettled by an International Monetary Fund (IMF) warning about Brexit, as well as reduced growth forecasts for 2018 and 2019. Looking ahead, existing Pound Sterling losses could be extended on Wednesday if the morning’s UK GDP data disappoints. The reading for August is expected to show a slowdown in the pace of economic activity during the month, with a shift from 0.3% growth in July to 0.1% in August. While this result would still leave the UK economy in a state of growth instead of contraction, it would be a disappointing development nonetheless. Growth falling to the region of 0.1% would risk there being a flat or negative reading in the future; predictions of such future results could cause immediate GBP/USD losses. Beyond the potentially disappointing GDP data, the Pound also risks losses against the US Dollar if Wednesday’s construction output reading shows a decline. Future GBP/USD Forecast: Are Pound Sterling Losses ahead on Slowing UK Wage Growth? Looking ahead, the next UK economic data to watch out for will be jobs market stats out on 16th October. These are anticipated to show a slowdown in the pace of UK wage growth, along with a rise in the number of people claiming unemployment benefits. A slower pace of average earnings growth is the more significant of the two results, as it risks causing a wage squeeze for UK households in the coming months. With incomes under pressure, UK consumers could be less inclined to spend which may ultimately translate to slower retail sector growth. The GBP/USD exchange rate could drop if slowing wage growth is reported, given the negative implications of such news. For US Dollar (USD) traders, the next significant data to watch out for will be Wednesday evening’s Federal Reserve minutes. Covering the Fed’s latest monetary policy meeting, these minutes could reveal plans for additional interest rate hikes in 2018 and 2019. The Fed has raised interest rates three times in 2018 and a fourth is expected in November or December; rate hikes in 2019 are a less certain prospect. In the ideal scenario for US Dollar traders, the minutes will point to Fed policymakers backing multiple interest rate hikes in 2019, potentially three or four. Higher interest rates general strengthen the US Dollar and lead to increased confidence among USD traders, so an optimistic Fed outlook could cause USD/GBP gains.